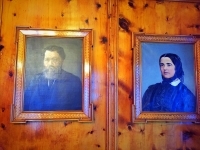 As the story goes, in 1855 Mr. Johannes Badrutt and his wife first visited a little bed and breakfast in the Engadin Mountains. 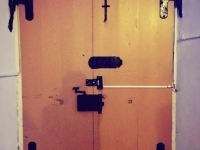 Mrs. Badrutt stumbled over the door step and “fell” into the property. 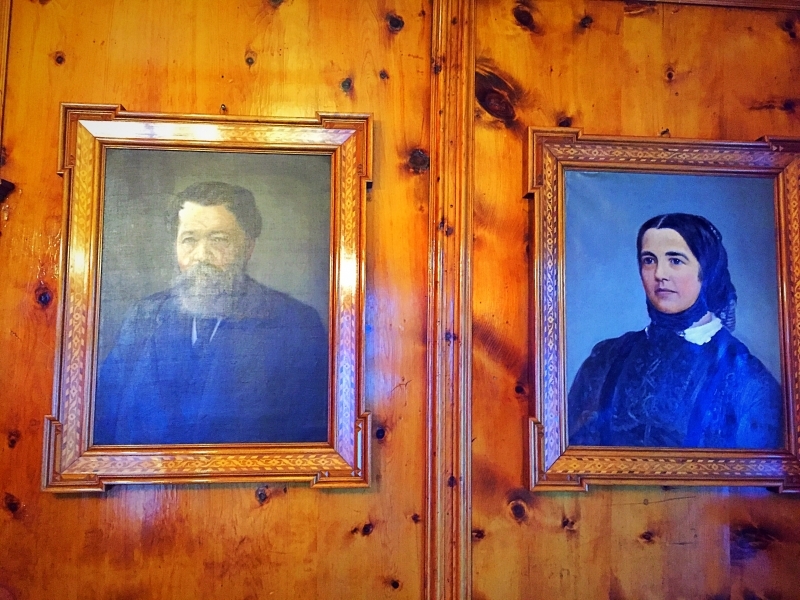 True to the proverb “never rest where you fall ”, the couple decided to buy the guest house, make it their home and remodel the small property extensively to create the “Hotel Engadiner Kulm”, which today is known as the “Kulm Hotel St.Moritz”. The hotel which sits at the apex of modern hospitality for guests who wish to be thrilled by uncompromised luxury, was named “Kulm”, a German derivation of the Latin word ‘culmen’, meaning “hill “or “crest,” a fitting appellation no doubt. 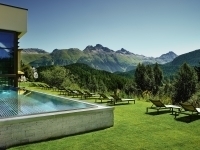 Initially a popular summer destination for mainly British guests, the hotel changed its footpath thanks to the visionary ambitions of Mr. Badrutt who had bigger and better plans for the beautiful property and the Engadin region. In 1856, after the grand opening, Mr. Badrutt invited enthusiastic British visitors who flocked to St. Moritz during the summer month, to spread the word about the dazzling, little Alpine village and promised them that they could return free of charge during the winter month to the Kulm. 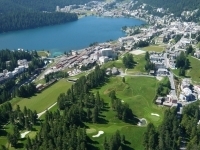 Thus he unknowingly laid the foundation stones for St. Moritz to become what it is today – the number one winter destination for the who is who in the world. The Kulm Hotel remains inextricably linked to the Cresta Run through the Sunny Bar, where tobogganing pilots have congregated for over 145 years. It was within these walls which today are lined with trophies and images of famous people who have hurled themselves down the infamous ice track, that in the 1870s, four upper-crust English army officers, conceived and built the famous Cresta Run – the “hair-raising natural tobogganing track whose icy contours are regularly hurtled down by tweed-and-tie-wearing, heavily padded chaps with a competitive fire in their bellies”. 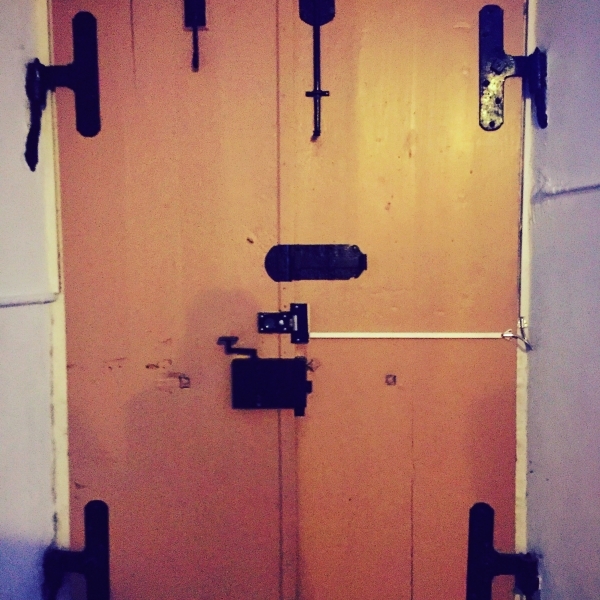 It was also here that the first ever electric light in Switzerland was installed as the premises played host to the opening ceremonies of the 1928 and 1948 Winter Olympic Games. 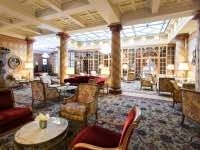 These days, the trip to St. Moritz is far easier for guests. They can fly into Zurich and – in efficient Swiss style – take a train all the way from the airport to St. Moritz main station. The train journey is one with captivating views all the way that takes in the narrow-gauge Rhaetian train, part of the famous Glacier Express route and a UNESCO World Heritage railway, and is a truly unique masterpiece of the railway engineer’s art. The way the train dips in and out of tunnels and chugs over the super high arched bridges of the valleys takes your breath away, while the little hill-top villages passed en route are pristine and picturesque. 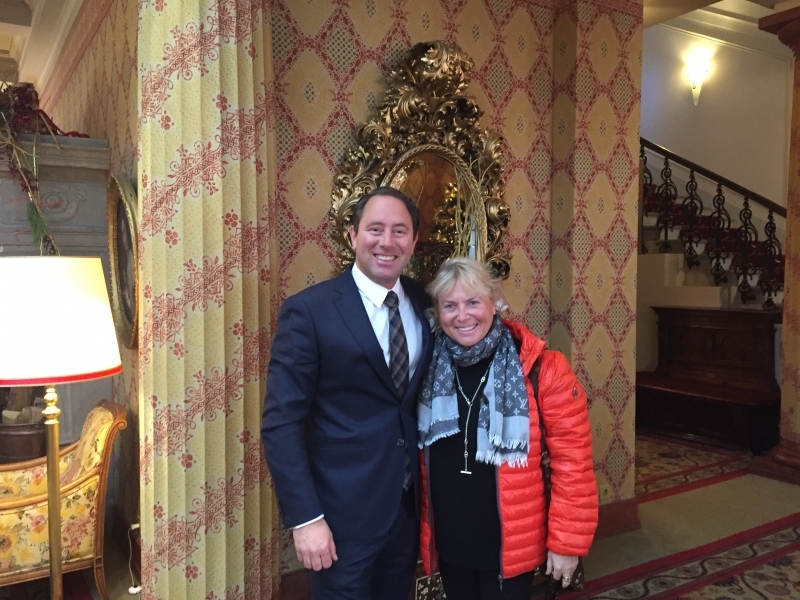 Since the 19th century not only travel time to St. Moritz has improved, but also the Kulm Hotel has changed considerably through expansions, renovations, restorations. 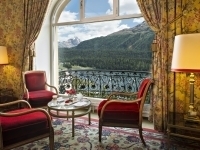 Maintaining its legendary watch over Lake St. Moritz, an incomparable view surrounded by picturesque alleys and squares along with superb opportunities for exploring the fascinating history of Switzerland’s storied past, the architectural wonders of this historic hotel, were well preserved by ward-winning French interior designer Pierre-Yves Rochon. The Kulm remained a mix of grandest hotels, a property with elegant service, standards and a perennial favorite of discriminating travelers. 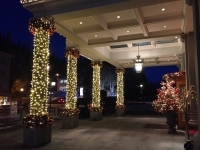 The lobby of the Kulm Hotel, is adorned with belle époque furniture, grand pianos, chandeliers and neoclassical pillars and arches – fit for the finest clobber for dinner. The hotel has undergone its largest ever room renovation, creating 26 generously proportioned rooms and suites in the wing of the property known as the “Neukulm” and its gourmet restaurant the “K” has received 15 GaultMillau points. A monument to the palaces,– think five-star hotel, the Hotel Kulm , owned by the Niarchos family and managed by Heinz E. Hunkeler, remains a showcase of a uniquely Swiss ambiance, gathering accolades for “best holiday hotels in Switzerland”, named one of Switzerland’s favorite lakeside hotels, “most welcoming luxury hotels in the country” and particularly deserving of “one of the best managed and most excellent hotel in the Alps with immaculate consistency”. The last distinction is well deserved and very much in line with my observation. Motivated, extroverted, introspective, charming, an off-piste skier, who loves healthy birchermüsli and 192 meters bungee jumping, Heinz E. Hunkeler, is now holding joint directorship of the Kulm Hotel St. Moritz and also supervises the strategic management of the sister property Grand Hotel Kronenhof, Pontresina. This role includes overseeing substantial investments in both properties, such as the construction of staff accommodation and the completion of ongoing renovations of rooms and suites. Mr. Hunkeler, who grew up running through the halls of the hotel while his fathered served as managing director, is there to greet and welcome arriving and departing guests, cruises through the dining room in the evening joking and chatting with guests, making them feel right at home. His proactive approach to management reflects on all team members as they happily reach out helping guests, making their stay unforgettable experiences. 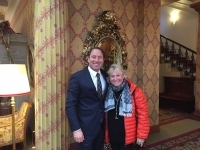 Concierge Silvio for example, a dedicated employee for over 40 years, whom I have called “Andrea of the Kulm” ever since I remember, will graciously find a way to fulfill the most extravagant, impossible wishes with a never ending smile. The Kulm’s 161 old guestbook alone is an elaborate account of famous figures who have walked its halls: chancellors and generals, award-winning actors and artists, royalty and a dazzling array of dignitaries. Guests from all walks of life return to the Kulm year after year, entertaining themselves in the snow, ice-skating, enjoying a romantic horse-drawn sleigh ride through the winter landscape, chilling in the Miles Davis lounge or dancing the night away at the Dracula Club. 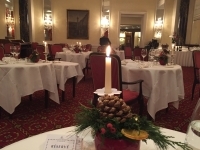 Regardless if you choose to enjoy an atmospheric candle-lit gourmet dinner in the wood- paneled Stüva, the former living room and office of Johannes Badrutt, opt for the “K”, the Pizzeria, the Park or the Grand Dinning Room, you can always count on implacable service and exquisite cuisine. Come on up, this charming, elegant and hospitable true Alpine gem is worth the hike and awaits you!